Why Choose a European Mechanic for Your Import Auto Repair Needs? Our onsite service center is staffed by ASE Certified Technicians who offer exemplary services with the utmost integrity to keep your car running optimally. At iAUTOHAUS, we offer auto repair of European cars by European mechanics! Call to schedule European automotive services today ! And there are plenty of reasons our technicians are better positioned to work European vehicles. Automotive certification is more rigorous in Europe than in the States. Auto-training in the States usually takes approximately two years where you attend a tech school for nine months to one year. The trainee then goes for factory training where they train per vehicle or vehicle systems for a duration ranging from days to a few weeks to qualify to work for a franchise dealer. In comparison, Wesley (our owner) studied mechanical engineering for five years in Poland, an environment that replicated that in the military. They would be in school for 10 hours Monday through Saturday. Hands-on practical would be every Saturday. One of our technicians from Hungary took a 3-years auto training in Europe. He had to undertake a test after the training. The tests would continue while still working. The other technician attended a school in Germany. Kids in Germany must go through 3-5 years of intense training that includes theory, practical, and apprenticeship. In the end, they end up knowing the ins and outs of their chosen fields. 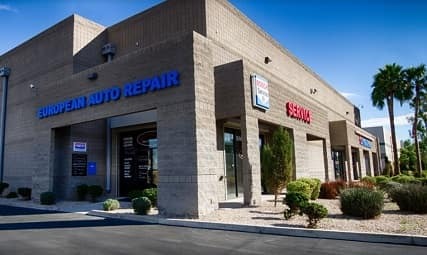 Schedule a repair in Arizona with iAUTOHAUS today! iAUTOHAUS is an Authorized Bosch Service and Repair Center, the largest manufacturer of the equipment parts in the world. The certification is based on merit; any car service center that seeks Bosch’s authorization must undergo a rigorous certification process. At iAUTOHAUS’ Bosch Authorized Service Center, we have the expertise to repair any Audi, Porsche, Jaguar, Maserati, or other select foreign models. We stock factory or OEM replacement parts in our high-tech shop. Expect nothing short of prompt and quality workmanship, from our friendly and professional ASE-certified technicians! 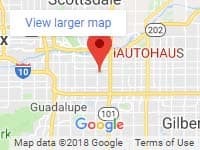 Luxury Drivers in the cities of Arizona have iAUTOHAUS as the first stop for auto service and repair. Bring your car for repair, and we’ll hook you up with Bosch’s car repair financing where you get competitive discounts. If you want to buy a luxury used car, need a service or repair, please call us on 480-845-0782 or schedule your service on our website. Luxury European automobiles bring performance, comfort, safety, and technology together. iAUTOHAUS is an Arizona-based used car dealership that offers the most exceptional selection of used luxury European automobiles at excellent prices. With our comfortable 25,000ft indoor showroom, your used car shopping experience can’t get any better. We offer certified pre-owned Porsche, Land Rover, BMW, Mercedes-Benz, Audi, Jaguar, Volkswagen, and much more. All our fine autos have been hand-selected by the owner and then inspected and serviced at our Bosch Authorized Service Center. And since we maintain our inventory updated with cars arriving every week, you’re sure to find the vehicle of your dreams – Shop our inventory!